Flemish environmental minister Joke Schauvliege has rejected the environmental permit for Eurostadium. The new football stadium was meant to be built at Heysel in Brussels and replace the existing King Baudouin Stadium. The decision follows years of protest against the construction of the stadium, which was being planned and paid for by Brussels but would have been located in Parking C of Heysel. That is in the territory of Grimbergen, Flemish Brabant, which meant that an environmental permit from Flanders was required. Schauvliege based her decision on advice from multiple agencies, including the Flemish Department of Mobility and Public Works and the Roads and Traffic Agency. There were also a total of 20 municipalities in the province that were very vocally opposed to the stadium on the grounds of traffic problems. “The hinder and risks to both residents and the environment have not been limited to an acceptable level,” said Schauvliege. The permit request was also “not in accordance with urban planning regulations or with satisfactory mobility”. According to the minister, there are also serious discrepancies in the building plans drawn up by the Ghelamco Group, which was responsible for building Ghent’s stadium. Flemish Brabant’s environmental department said that the company’s plans “got very creative with the actual surface area”. There were other blows to the stadium project last year: RSC Anderlecht pulled out of a promise to make Eurostadium its home base, while Brussels was eliminated from the list of Euro 2020 host cities – because of doubts about the new stadium. 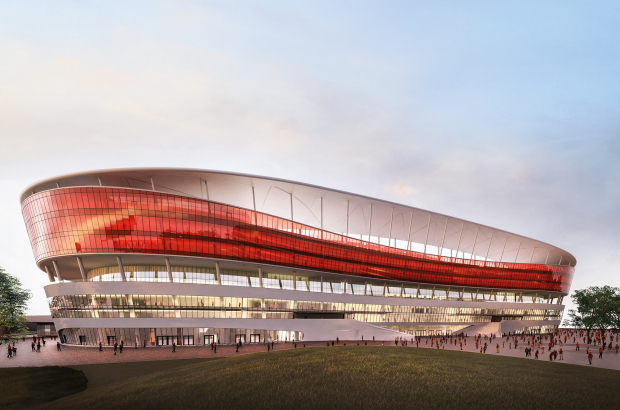 The decision puts an end to Eurostadium – unless Ghelamco, which was awarded the project by Brussels-City – decides to appeal it. Ghelamco can also submit a new request for an environmental permit but would have to completely revise its former request if it had any hope of getting it approved.